Now I’ve got to figure out how to display them. They look wonderful of course just sitting on the table. I am debating. I could mount them in shadow boxes – making it a bit easier to ship, but more expensive. I could also build a little loop to hang them on a wall – which looks great. They might though break if they are knocked off the wall. I do like the wall idea – with a loop to go over a nail. This allows them to be touched – so there is no barrier between the piece and the viewer. hmmm. I guess I’ll need to experiment more. 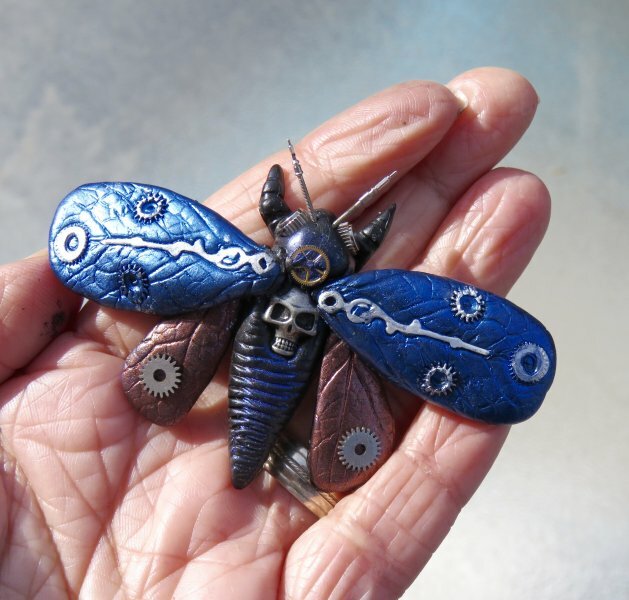 Some projects and ideas take a lot longer to bring to completion – and the new insects are taking days to complete due to the various drying times. This is though, pretty much the most free time I have had in about 5 years, so I’m taking advantage of it as much as possible. I get up at 6am, pack a lunch and make breakfast for the Big Bad, and then I usually start working around 8am, after he’s gone to work. The only person who really pesters me these days is The Cat. 🙂 but he’s a good pest, and makes certain I get up occasionally. 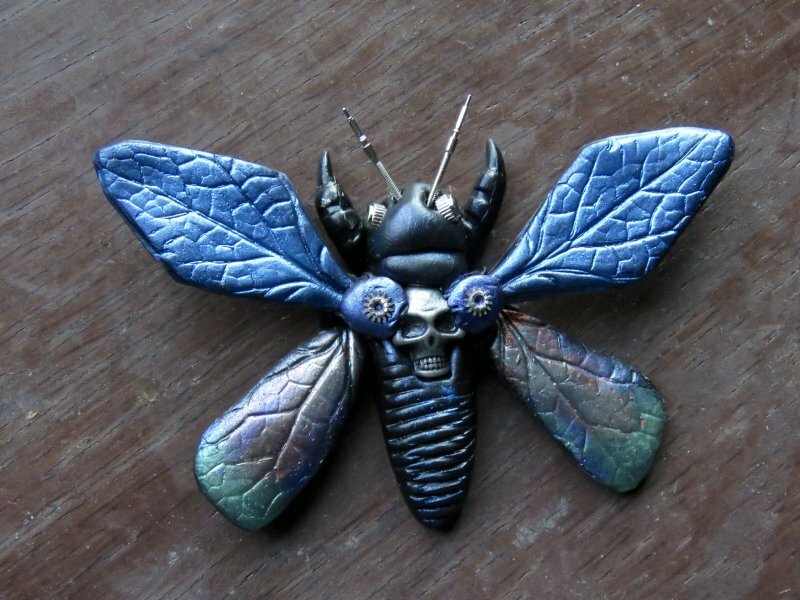 Otherwise I would likely sit building insect wings for 8 hours and emerge from a daze.